Teachers other than the headmaster were four in number. Two in the Infants Room (one being a pupil teacher), one in Standard I and one teacher in the backroom for Standards II and III. Those attending school in the pre-1914 War were about 120 (this I remember from a long a wall chart, giving an average of 24 per teacher). But it is very important to note that for the first three years, and possibly four, each class has had an independent teacher. So the number per teacher would be between 10 and 20 which facilitated individual instruction. Standards II and III combined would possibly at any time not exceed 30. The headmaster with the combined classes IV V and VI would approximate 40. All children would be supervised and taught for at least five years by the teaching staff before coming under the responsibility of the headmaster. Importance was placed in getting the children to school in their earliest days - going to school at a very early age and placed in the Babies, which was a kindergarten as we know it today and which was supervised by a pupil teacher. I can well remember in the earliest days at school, as a baby, being given a piece of cloth to pull to shreds, one thread at a time. I am not certain whether this was a task to teach me patience or whether it was to teach me the composition of the cloth-or both. Particular attention was paid to the moulding of China Clay, one being encouraged to play with it and to mould it into shapes as one desired. Sets of blocks, with which to build were very popular with the babies. Later one was given a framed slate and a piece of coloured chalk with which one was encouraged to scribble and later to copy single letters from the blackboard. I can also remember being given a picture book of animals which the teacher described. There were also popular sessions of games in the playground or on the Green. I can still, today, see the pupil teacher with the children in a circle, the teacher and children moving round with clasped hands and singing:- ‘Ring a Ring of Roses, Pocket Full of Posies, Husha, Husha, All Fall Down’. The little girls loved this game. This valuable early training was the basis on which the children’s education was built. 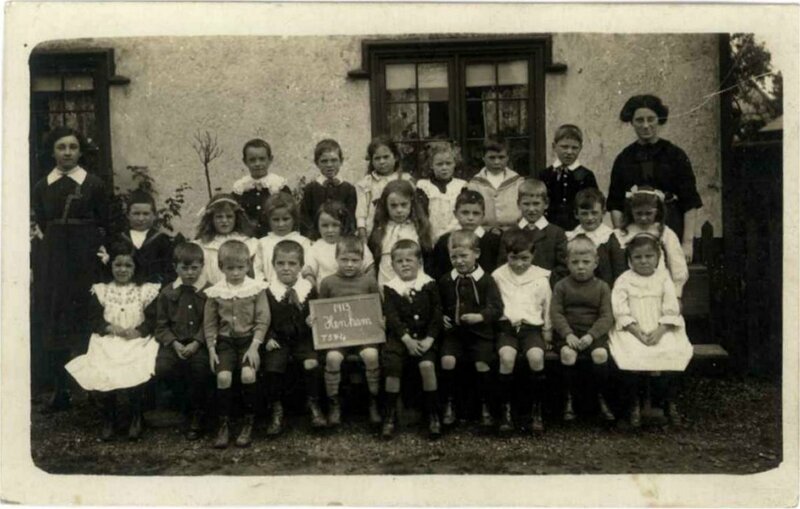 When one passed into the Infants Class under Miss Turner, who was to spend the whole of her working life at the school, one experienced for the first time strict discipline. The blackboard was in full use all the time one could copy from it on a slate. There was also reading aloud from the blackboard in chorus. The Class would repeat the mathematical tables again and again and again. Exercise books were introduced to make a fair copy of what one had been repeating from the blackboard for months. One also learnt to tell the time by the use of a cardboard clock-face. Later of course, invariably came periods of dictation of the magic three letter words learnt. Great stress was placed on pronunciation of words learnt. If one was not able to pronounce a word one was required to stand in front of the class and repeat the word until one that got it right. I had this experience with the word 'three’ which I pronounced as ‘tre’, and believe me I can still remember repeating that word in front of the class and in the direction of Miss Turner as monitor again and again and again and remain in front of the Class I until I was able to say loudly and clearly three. Pictures that told their own story hung round the classroom walls. One I remember well-a fox on the bank of a stream trundling with its forepaws a hedgehog, rolled into a ball into the water. The use of these pictures was valuable training in getting the children to express themselves. On leaving the Infants’ Class one passed to Standard I at the bell end of the big room. ;”Here, importance again, the class had one teacher. In the children’s earliest years at school, the first three classes being firmly controlled by its own teacher. In Standard I the teacher built up what they had been taught in the infants; longer words, harder tables, simple sums, the forming of simple sentences, and of course, history. 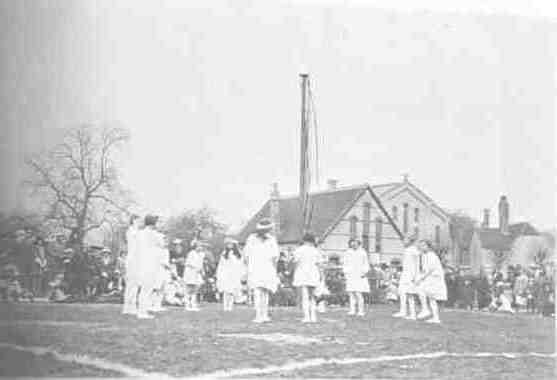 Just before World War I Swedish drill was introduced for the older children: the combined classes under the instruction of the Headmaster did physical exercises and actually marched in twos around and about the playground. 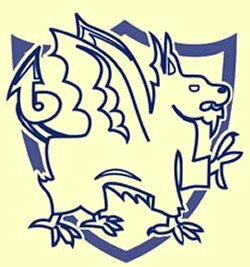 From Standard I the children were passed into a separate room which accommodated Standards II and III, controlled and taught by one teacher. On leaving Standard III the children were passed to the main classroom and came under the iron will and drive of the headmaster who controlled and taught Standards IV V and VI and possibly VII, where the master could assess what they had already been taught and could cram them until each reached the age of 13, when they were pushed out into the world. There is no need to express an opinion of the good work done at the school by the teachers, but I think the fact that one teacher gave her whole working life to it tells its own story.